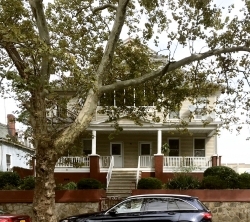 New York, NY, February 26, 2019 --(PR.com)-- LichtensteinRE has been retained on an exclusive basis to sell a three-story walk-up property located at 521-523 South 5th Avenue in Mount Vernon, Westchester County, New York. The asking price is $1,399,999 just reduced from $2,500,000. This well maintained three-story walk-up frame building contains six units consisting of four (3) bedrooms and two (1) bedroom residential apartments plus full basement with laundry and storage areas. It has a gross total floor area of at least 5,385 Square foot and lot size of 5,227 square foot. The six apartments are rented for an actual low average of $1,695 a month. The building contains a basement that the new owner can Install Coin Operated Washing Machines for the tenants to use for additional landlord income. The Total Gross Annual Rental Income Actual & Projected all Sources is $122,040. The selling price represents a Cap Rate of 5.23% Return on Investment to an all cash buyer or 7.9% ROI with depreciation tax benefits. Long Term Future Projection is 7.0% cap rate and 9.6% TOI with depreciation. All these numbers are estimated from the current rental income. This investment opportunity property has updated floors, two balconies/ porches on the first floor and brand-new appliances and fixtures in some units. The property is located on the South Side section of Mount Vernon, Westchester County, near the downtown business district and municipal establishments. The property is close to public transportation Metro North, Bee Line, MTA Dyre Avenue # 5 and 241st Street # 2 trains. The property is being marketed exclusively by Andrew Lichtenstein, Inc. LichtensteinRE has been actively selling multifamily and commercial real estate for its clients in and around New York City.